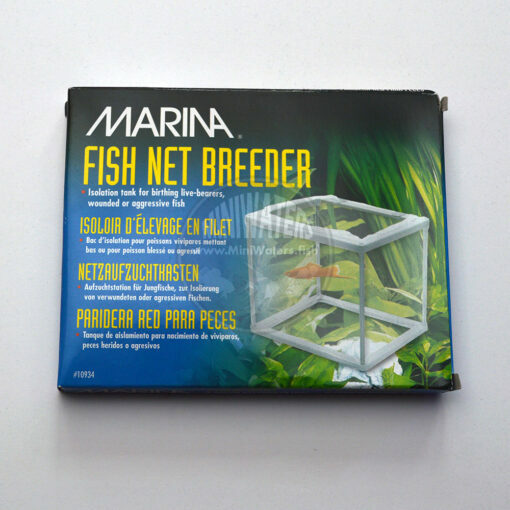 I basically keep inexpensive net breeders on hand solely as a convenience item for folks who are attempting to pair fish and need a way to isolate them should pairing turn sour. If you need a net breeder, they’re super easy to throw in a box with a fish shipment. If you’re pairing fish but don’t have one on hand, I’m going to highly recommend the purchase. This net breeder hangs on with aluminum hooks that are flat and easily form-fit to your particular setup. The assembled size is approximately 5″ x 5″ x 6.5″.